Although most accountants make good money once they earn a degree, it takes effort and find the right job. Many accountants who work for companies or who own their own firms are responsible for marketing their services. Building a strong client base takes time, and using social media provides several ways to do this. Search for common hash-tagged terms such as #taxprep, #accounting and any other terms used by people who are discussing finances. When people are discussing such topics, jump into the conversation. This can be done on Twitter, Facebook, WordPress and other sites where conversations are encouraged. Accountants can answer questions and leave their contact details. By talking with people in blogs and on social media conversation threads, accountants have the opportunity to build themselves up as trusted and knowledgeable authority figures. This is one of the most powerful offline marketing strategies. However, it can also be implemented using social media. Make a list of about 50 influential people or businesses in the local area. If they have public Facebook fan pages or public Twitter accounts, connect with them. Start conversations when it makes sense to do so without pushing a sale. If they do not have public pages or causes on social media, find out how to be referred to them via LinkedIn or other sites through mutual connections. Accountants should not leave comments on posts or reply to tweets using sales language. When people need accounting help, they need a solution to their problem. While they may know that they need the help of an accountant, they probably want to learn more about their problem first. Try blogging about common accounting issues and hot topics. Respond to posts and comments offering help and suggestions instead of a sales pitch. Refer people to the blog for more information, and have any promotions and sales language on a sidebar or on a banner at the top. This will help blog visitors feel like they are choosing to be helped and are not being forced. It takes time to write blogs and make social media posts. However, keeping people engaged with social media conversations and blog posts helps grow a business and build a strong web presence. Hire someone to write the posts if time does not allow for it otherwise. Ask people questions such as what their biggest refund or liability was in the past or what their biggest tax fear is. 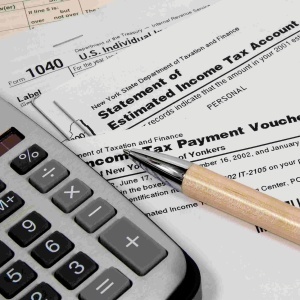 Accounting is often a grim subject to people who only associate it with paying out taxes. Finding ways to make it fun and interesting while keeping followers engaged in conversations is important. Social media posts should almost always direct people to a blog. Use tag words for the blog and in the blog posts that are point-of-sale search terms. For example, use “hire accountant now” instead of just “accounting services.” Include both if desired. Write interesting posts such as “Top X Tax Myths Debunked.” Make the titles interesting enough to be shared across social media. According to Accounting Web, LinkedIn is one of the most popular platforms among accountants. Be sure to start building a presence there and making connections early. Even soon-to-be accountants who are still in school can start building their own brand. The first step big step toward a successful career is finishing a degree program.